Nope. That would be polite. (As if you would tell it yes if it did ask–I know I sure wouldn’t.) Cancer just raps on your door, taps on your window pane, and then walks or climbs right into your life. Loud and ill-timed. Of course, there never is a good moment for cancer to come on by. Ever. It just shows up, sits on your couch, puts its muddy shoes on your ottoman, eats up all the food, hides the TV remote and then doesn’t even bother to help clean up. If cancer were polite, it wouldn’t be cancer. It wouldn’t strike fear and apprehension into the hearts and minds of those who must confront it and those who hope it never comes their way. For Brandi Garrett and her husband, this battle was a family affair. They and their children embarked on this journey when one of their daughters, Madison, received an unwanted diagnosis. Maddy was three years old when they learned she had cancer… Stage IV. The Maddy Wagon is active year round. Visit the website to learn more about the organization started in Madison’s name, and to obtain more information about their yearly gift giveaway –Christmas Maddy Wagons of H.O.P.E., which stands for Happiness, Optimism, Peace and Excitement. New Podcast! Episode 1: If you don’t need him, why marry the dude? So… I decided to start a podcast! The adage “waste not, want not” applies to Extra Tape from initiative-driven interviews for work that are often recorded on my own time. It’s usually only sound-bites and brief quotes usually see the light of day on air and online. Unfortunately, the result is hearing my angel robe-clad, halo-wearing conscience whispering on both shoulders, in my parents’ voices, reminding me not to waste anything. Food. Money. Audio. It’s all the same. So let’s get to Episode 1. If you’ve ever said “I don’t need a man,” here’s an author who agrees with you… With a slight twist. 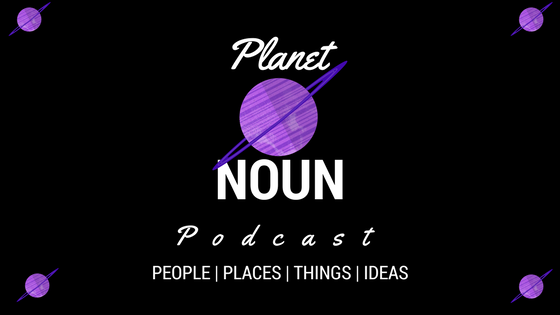 Thanks for listening to Planet Noun Podcast! Learn more about author Carmen Hope Thomas, and her book “Why Marry a Man You Don’t Need,” right here.